From Hybrid Homes comes The Indigo. 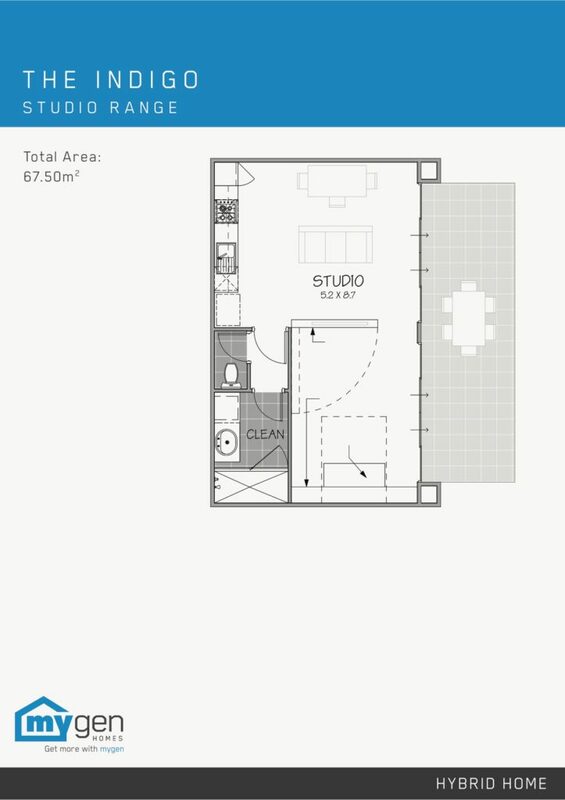 A studio space, equipped with a kitchen, living and dining area, fold out bed, ensuite and alfresco. 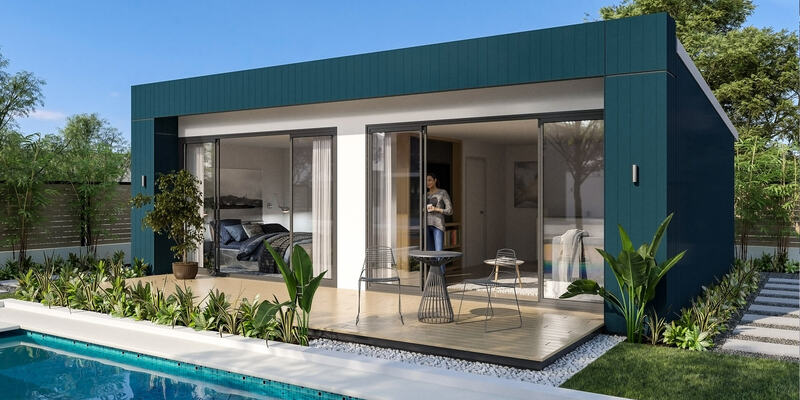 This multi-purpose, modern space is the perfect extension to any existing home. Designed with innovative, mixed materials, means this environmentally friendly studio has an almost unbelievably short build time.